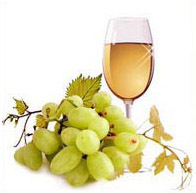 From grape varieties reached their technical maturity. The drying process allows to save all the nutrients and natural enzymes, antioxidants, amino acids, vitamins and minerals, useful micro flora, precious natural components that contribute to its high biological value. Can be used as a raw material for the wines, fortified wines and champagne and soft drinks.has been especially developed for making dry wine styles with a clean, crisp and refreshing after taste. Enjoy the bouquet with a hint of fruits of an herbaceous nature. 3. Fill up to 23 l of water. Check the temperature is below 28-30 °C . 4. Pour Yeast Nutrients 22-25g into the mixture in fermenter and stir slowly. 5. Evenly sprinkle the Wine Yeast 5-6g on the surface of the manufactured wine and close fermenter properly with lid and airlock, half filled with water. 6. Store the fermenter at a constant room temperature, 20-25°C, for 7-12 days. At lower temperatures it will take longer fermentation time. 25°C is recommended temperature. Avoid drafts and cold floors! 2. Add Wine Stabilizer. Mix vigorously several times and leave to rest for 2-4 hours. 3. Add Fining Agents and mix well. The wine will now start to clarify. It takes several days for wine to clarify completely. Pour wine into bottles and seal with corks. The young wine is drinkable now but better quality is achieved by aging for a few months.